An eco friendly alternative that offers a prime opportunity to promote your logo. Nat Geo has estimated that as much as 8 million tonnes of plastic enters our oceans every year. We can all play a part to reduce this number and ditching plastic produce bags is a great start. 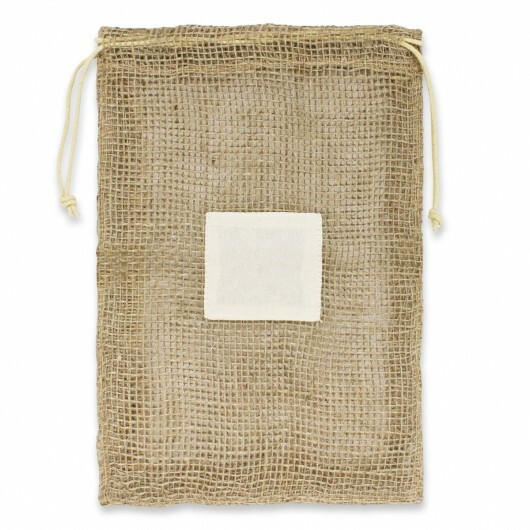 These unbleached jute net produce bags utilise a drawstring closure can be washed and reused many times. They're breathable to ensure your produce is in the best condition when you get home and host an unbleached patch for your branding. The bags are compostable and biodegradable.